Image: IDW, via Entertainment Weekly. 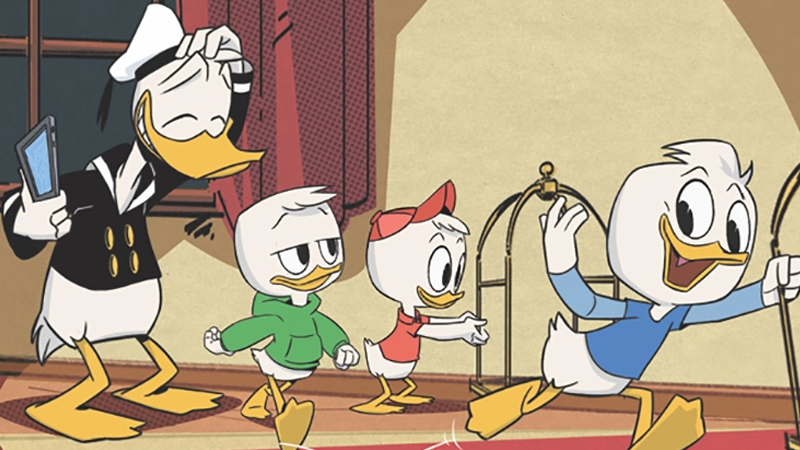 Great news if you like the look of the upcoming DuckTales revival (which we do! ): IDW is going to start running its own tie-in comic to the show, which means life in Duckberg is going to be very busy in the near future. Hurricane-like, even. Revealed by Entertainment Weekly today, the new ongoing series doesn’t have a creative team attached yet, but the series will emulate the new art style of the show, making it an ideal stepping stone if you go from the series to the comic. It’s not the only Disney XD show IDW plans on bringing to comics. Alongside DuckTales, a new series based on Tangled: The Series, the animated continuation of the 2011 movie, is on the way too, which will be kicked off with an original graphic novel. The Ducktales and Tangled comics begin this July and August, respectively.